People often think of divorce proceedings as ugly, drawn-out trials with each side attacking the other, but this doesn't have to be the case. For those who don't want to go through with a trial, arbitration is another option. This form of dispute resolution is often faster, cheaper, and more amicable than a lawsuit. Arbitration is a form of alternative dispute resolution, which means that it is a way for opposing parties to find a solution for a problem without going through a lawsuit. The parties present their sides along with any evidence that might be relevant, and then the arbitrator (a neutral, independent third party) reviews the facts and decides on a solution (called the award). A party files a Demand for Arbitration along with filing fees to the arbitrator, and then the arbitrator notifies the other party that arbitration has been initiated, and gives that party a certain amount of time to respond with either an answer or a counterclaim (a claim against the first party). Both parties may initiate arbitration by submitting a Submission to Dispute Resolution form along with filing fees to the arbitrator. A court sends the parties of a case to mandatory arbitration to attempt a resolution before it is willing to hear a case. If there are several neutral arbitrators in the arbitration company, the parties work together to choose an appropriate arbitrator based on who is best qualified to handle their specific case. The preliminary hearing, or first meeting, occurs. Here, both parties get to discuss the potential issues of the dispute with the arbitrator. The parties can also handle practical matters here, such as who will be called as witnesses and what information needs to be presented. 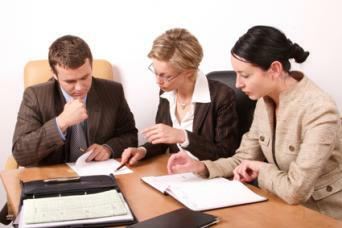 The parties exchange any information or evidence they need to prepare for arbitration. The arbitrator can intervene as necessary to ensure that all necessary information is shared. The arbitration hearings occur. While these are not as formal as court hearings, and do not occur in a court room, these hearings are when each party gets to present his case and evidence in front of the arbitrator. There is an optional post-hearing submission, when parties can offer additional information or evidence to the arbitrator. The arbitrator comes to a decision about the case, issues the award, and closes the case. Ideally, you could arbitrate any divorce without having to go through the hassle of a hostile court case, but there are some times when arbitration is clearly the better choice. You are in a time crunch. You can usually begin arbitration somewhat immediately, whereas waiting for a court date could take months. Additionally, you can usually schedule arbitration on your schedule - even on weekends and evenings - instead of on the court's schedule. You want flexibility. In arbitration, you can decide what the arbitrator decides and what is going to be argued. You can also set rules in arbitration, whereas in court you abide by the court's preset rules and procedures. You have limited finances. Arbitration is often much less expensive than a court case because it's shorter and there are no court fees or attorney's court fees, so if you are trying to save money, arbitration is the way to go. You want this over with. There are fewer options to appeal arbitration than there are to appeal a lawsuit, so if you want a final resolution and you want it now, go for arbitration. You want privacy. Court cases are almost always public record and are held publicly, but arbitration is not. Arbitration has closed records, and is held privately in conference rooms so if privacy is a big concern for you, you probably want to choose arbitration. Do You Still Need a Lawyer? In arbitration, you don't need a lawyer. If you decide to have one, he will generally be much less involved than if you were to go to litigation. You have the option of having a lawyer help you through the arbitration process and assisting you during the hearings and presentation of evidence, but you do not need to have an attorney, particularly since the procedures for arbitration are far less stringent than those for court cases. Even if you do not have a lawyer help with you through the arbitration process, you should have a lawyer to review the agreement the arbitrator comes up with before you sign it. In fact, both parties should have their own, separate lawyers to review the document before signing it to make sure the arbitrator didn't miss anything and there aren't any glaring errors. Can You Quit Arbitration in the Middle? You can quit arbitration in the middle if the arbitration is a voluntary, non-binding arbitration. This means that if you are attempting to go through arbitration of your own free will in hopes of avoiding a lawsuit, you can stop arbitration and choose to proceed with a lawsuit. If arbitration is mandatory or binding, you can only quit arbitration by settling the case with the other party before a decision has been reached. In non-binding arbitration, however, the parties are using arbitration to attempt to resolve a dispute, but are not required to be bound by the decision unless both sides agree to it. If the proposed resolution in non-binding arbitration is not satisfactory to both sides, they can attempt to settle the case amongst themselves, or can continue to court for litigation. In arbitration, the arbitrator acts as a judge and makes the decision of the award. In mediation, both parties are encouraged to work together to come up with a resolution and the mediator acts as a negotiator to help the parties come up with the resolution. Additionally, sometimes mediation is held with parties in separate rooms with the mediator going back and forth between them, whereas with arbitration, everybody is in the same room. Are There Disadvantages to Arbitration? Despite how beneficial arbitration sounds, there are disadvantages to arbitration. For one, binding arbitration decisions are much harder to appeal than court decisions. Additionally, if the other party to the divorce does not abide by the arbitration decision, you will have to go to court to have the order enforced, which may take a lot of time and be expensive. While a divorce can be - and usually is - unpleasant, arbitration may be a great way to make the experience less traumatic. Since it's faster, cheaper, and more flexible than going to court, it's often a better experience for everyone involved. However, since the decision is often hard to appeal, make sure you feel comfortable with your arbitrator and the arbitration process before proceeding.